While I was staying in Siem Reap, I was fortunate enough to meet Seiha Soeun, the chef at the Bugs Café. We share a passion for eating insects and discussed recipes, ideas and opinions. 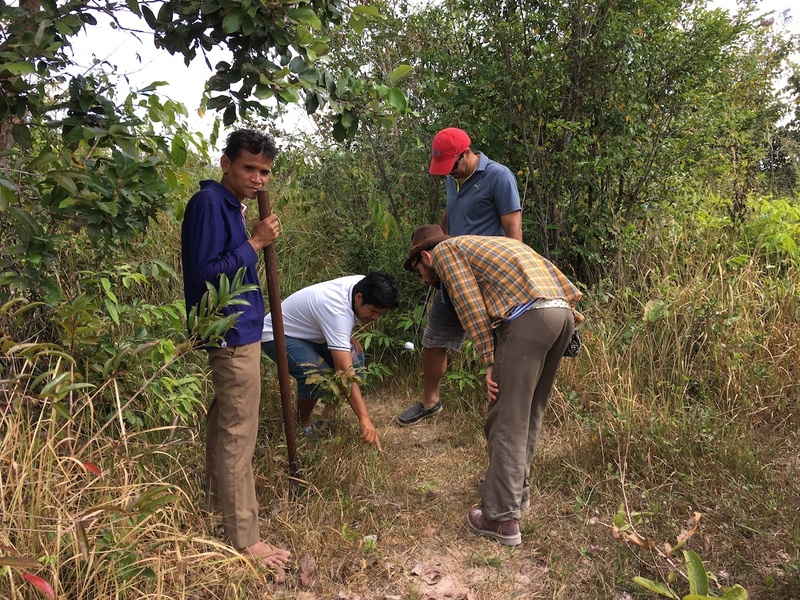 When I asked him where he gets the insects that he uses in the restaurant, he invited me on a proper insect hunt in the Cambodian Countryside. We set off on a tuk-tuk early one morning. 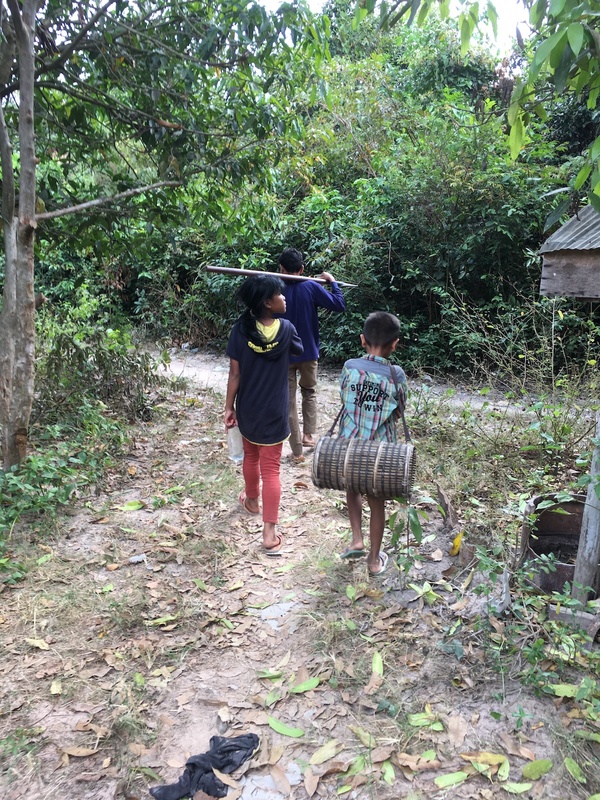 It took us over an hour to get to the small village where insect supplier, Mr. Wai, lives with his family. 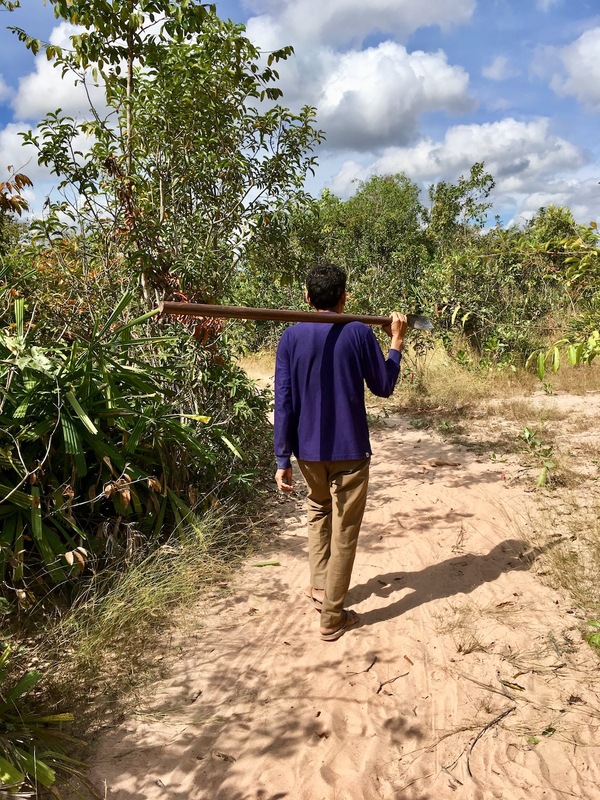 As a young Cambodian man, Mr. Wai was a rebel fighter against the Khmer Rouge troupes. The Khmer Rouge was the name popularly given to the followers of the Communist Party of Kampuchea and by extension to the regime through which the CPK ruled Cambodia between 1975 and 1979. Nowadays, he bravely hunts scorpions, tarantulas and snakes in the countryside and sells them to restaurants and markets. After a short introduction, Mr Wai took us for a walk. His four-year-old son and nine-year-old daughter came with us. Despite their young age, they are learning this art from their father, and already seem to be experts. After 20 minutes we spotted the first nest. It was a well-hidden hole in the ground with a spiderweb at the entrance. Mr Wai was wearing flip-flops, shorts and a T-shirt. His only weapon was a type of shovel. He started to dig the hole with it, sometimes using his hands. When the big spider appeared, I couldn’t hide my excitement. Mr Wai remained calm and professional. With a determined and precise movement, he grabbed the big spider with his hands. The next task was to remove the poison. 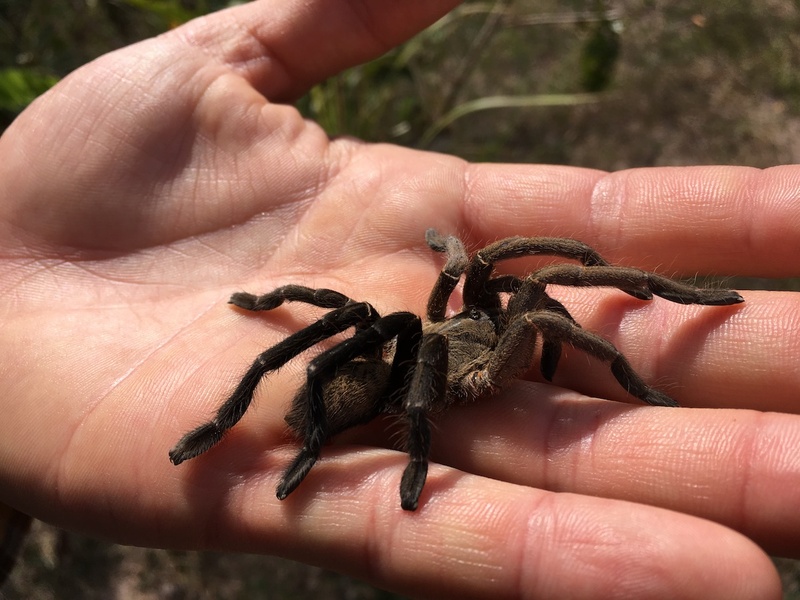 Tarantulas have a double set of poisoned teeth on the upper part of their mouths. 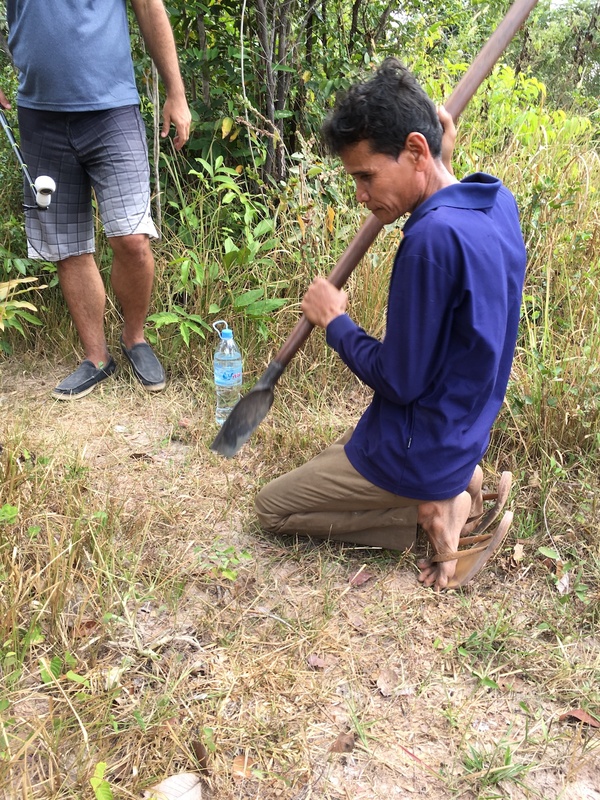 Mr Wai made the spider bite the shovel, so that he could gently remove the two teeth using just a finger. Once the teeth have been removed, the spider is no longer dangerous. The children played with it before putting it in a bamboo cage. Mr Wai kept going and found another nest just five minutes later. This time there was no web over the hole: it was a scorpion’s nest! 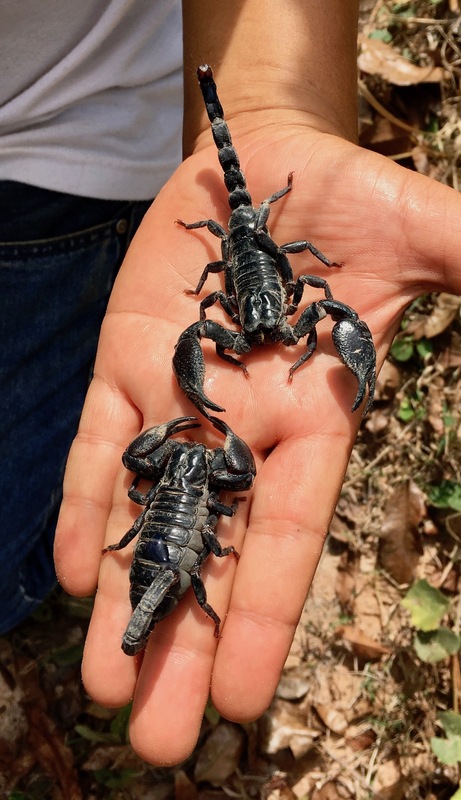 Mr Wai dug out a big scorpion and we could see a second one there too: a male and female. He quickly grabbed the first scorpion and rapidly removed the end of the scorpion’s tale where the poison is located. Then he immediately did the same with the second one. We carried on hunting until we had four scorpions and five tarantulas. Than we walked back to the village. On the road we found two red-ant nests in the trees. They make a sort of ball out of leaves. We ate them alive as a snack. Because of their poison, the red ants have a natural spicy taste. 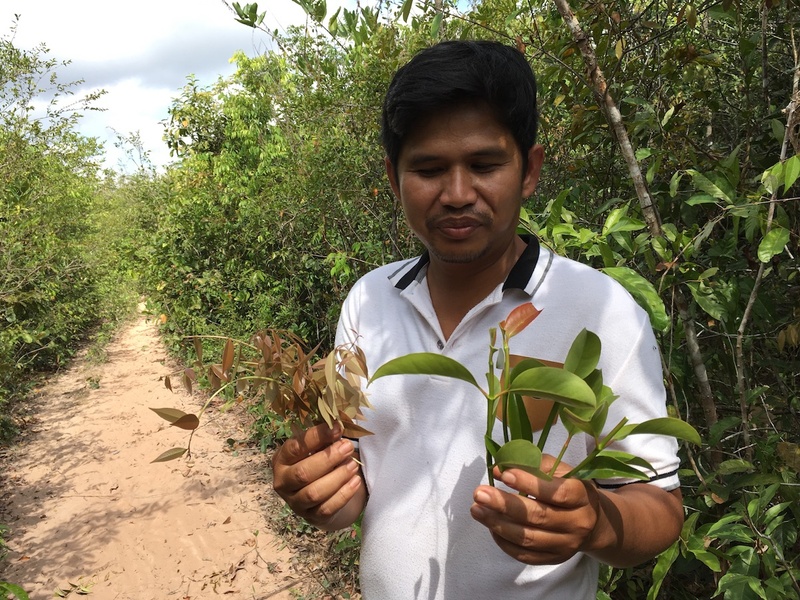 Meanwhile, Chef Soeun showed me some edible plants typical of Cambodian cuisine. We returned to the village and Mr Wai started to prepare the lunch. First, he washed the big insects with water which kills them. Then he mixed them with salt, pepper, some chicken stock cube and garlic. He fried them in a pan over a fire. They were ready in just 10 minutes and we served them with some of the plants that we had found. It was a delicious meal. The scorpion and tarantula were crunchy but not hard to chew at all. Despite their size, we ate all of them. The Wai family was very surprised to see us enjoying our meal without fear. Eating those animals reminded me of crabs, they are almost like crustaceans or shellfish from the earth instead of from the sea. They do not have a strong taste and it was easy to confuse them with the taste of the other ingredients. Some bites tasted of mushrooms, others of truffles, some crunchy parts tasted like roasted chicken skin. I will never forget Mr Wai’s pure smile. He rarely spoke as he showed us his work and I was very grateful to have a chance to experience this exclusive part of Cambodian tradition. 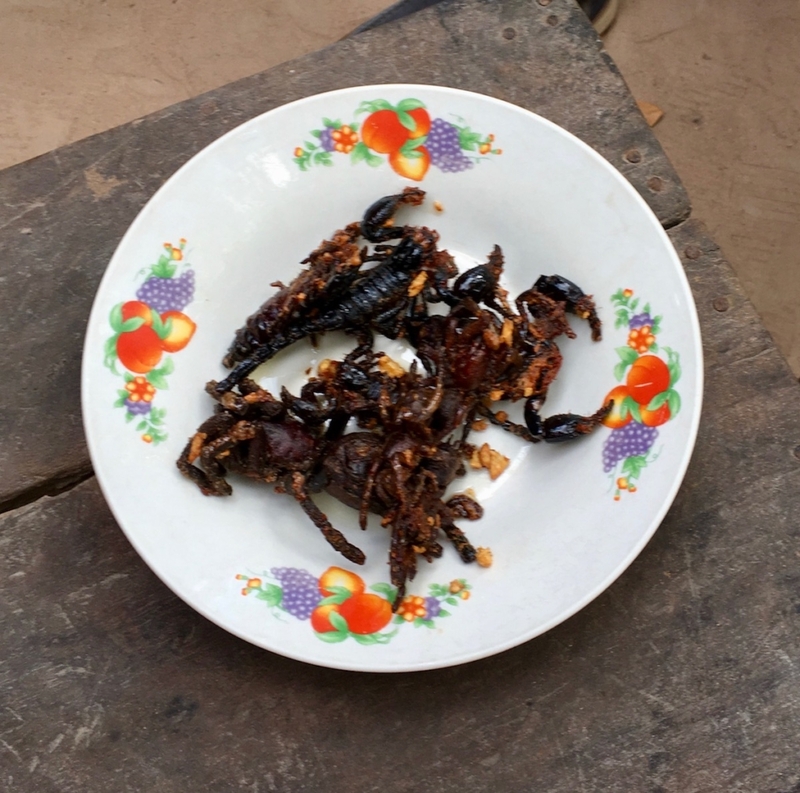 Consumption of tarantulas is a longstanding Cambodian culinary tradition because of their high nutritional values: they are rich in zinc and also used to treat coughs. They are now starting to become popular with tourists. 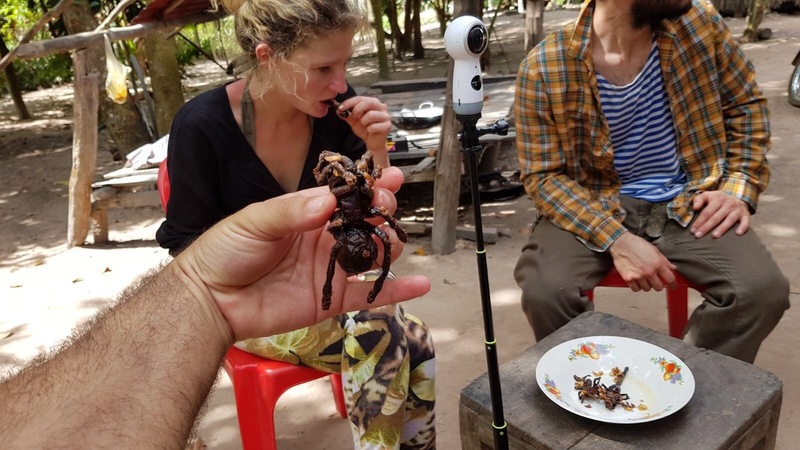 Increasing numbers of tourists visiting Cambodia want to test their bravery by eating these big dangerous spiders, which means that tarantulas are now actually at risk of extinction. 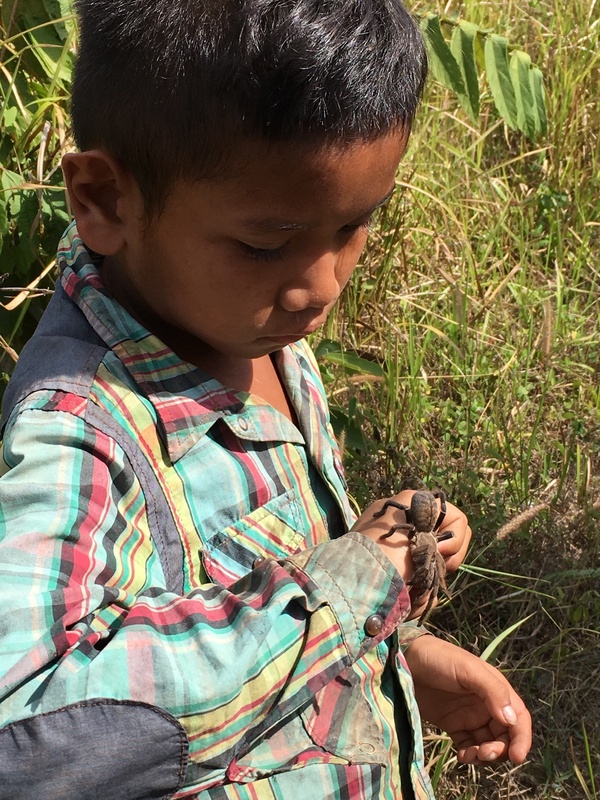 In my opinion, the Cambodian government should limit the commerce of these arachnids. Just think that a spider is too small to eat until it has been alive for at least two years. I hope everybody will soon understand just how delicate our ecosystem really is and see that spiders play an important role in it.